Home » Health » What Is Chikungunya? 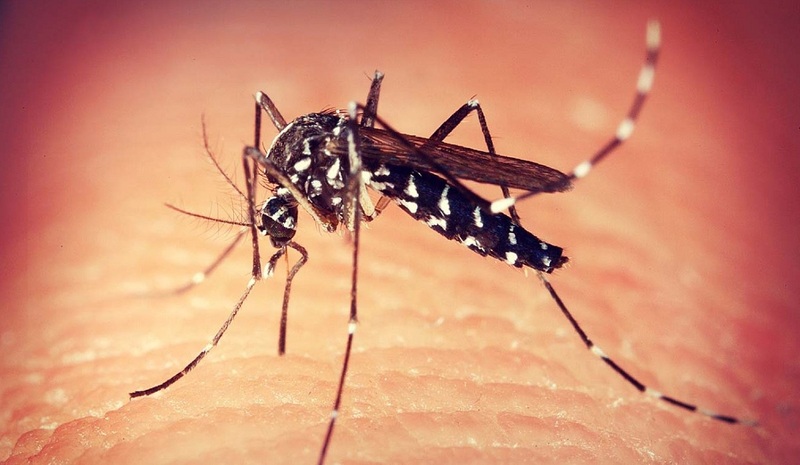 Chikungunya is a viral disease that attacks human through the bite of Aedes Aegypti mosquitoes or Aedes Albopictus. This mosquito acts as an intermediary or vector that is an organism that carries chikungunya virus in its body without getting infected. Both are the same type of mosquito that causes dengue fever. Similar causes and symptoms cause chikungunya disease often to be misdiagnosed as dengue fever. Aedes aegypti mosquitoes live in tropical and subtropical regions, while Aedes (Ae.) Albopictus live in temperate and cooler regions. Both types of mosquitoes are commonly found mainly in the morning and evening. Chikungunya case itself has been identified in about 60 countries located in Asia, Africa, Europe, and America. Chikungunya virus can not spread directly from one person to another. The disease is caused by a virus that spreads through the bite of Ae mosquito . aegypti or Ae . albopictus , two types of mosquitoes that can also cause dengue virus . The chikungunya virus belongs to the alfavirus genes of the Togaviridae family found in tropical countries. Generally these mosquitoes attack during the day, but the bite especially occurs in the early hours and the afternoon. You are more susceptible to attack while outdoors, although it does not rule out that Ae mosquito . aegypti can also attack indoors. Ae mosquito . aegypti more lives and breeds in places close to humans, especially indoors. Places commonly inhabited by mosquitoes are water reservoirs, bathtubs, to vases and flower pots filled with water. Ae mosquito . albopictus has more and more breeding grounds than Ae. aegypti . In addition to puddles in the former tires of vehicles, ponds, or potted plants, these mosquitoes can also breed in puddles that exist in tree holes, bamboo, and coconut shells. After being bitten by a mosquito carrying the virus, the symptoms will start to feel at 4-8 days, but it can also start from 2-12 days after the bite. The symptoms initially resemble flu symptoms . Joint pain - its severity can inhibit the patient's body movements; these symptoms can last for weeks and are also a major symptom of chikungunya. These symptoms generally appear not long after the symptoms of fever begin to be felt. In some cases, the symptoms of joint pain will remain felt for several months, even years. Chikungunya symptoms are usually mild, so undetected or too felt by the sufferer. In areas with dengue fever cases, there are also a few cases of misdiagnosis between the two diseases. In some rare cases, chikungunya complications, such as nervous, eye, heart, and gastrointestinal disorders may occur. Especially in the elderly, this disease can lead to death. A blood sample belonging to a person should be taken in the first week after symptoms begin to develop. These samples were then tested with serological and virologic (RT-PCR) tests in the laboratory. ELISA ( enzyme-linked immunosorbent assays ) testing will confirm the presence of antibodies that indicate chikungunya infection. In the third and fifth weeks after the symptoms begin to show, IgM type antibodies will be at the highest levels and will remain the same for the next two months. There is no special treatment to cure chikungunya. Pain relief medicines and anti-inflammatory drugs are only aimed at relieving symptoms. Among fever-lowering and analgesic to relieve muscle pain and other pain. In some patients who lack fluid, for example due to loss of appetite and lazy to drink, oral fluid or infusion can be done to prevent dehydration . Consult your doctor before using non-steroidal anti-inflammatory drugs. Non-steroidal anti-inflammatory drugs are given if it is confirmed that the patient does not suffer from dengue fever. This is due to the side effects of bleeding in patients with dengue fever. Place the unused containers in the facedown position. Keep the larvae fish in the pond. Sprinkle larvicidal powders (larvae or mosquito larvae) into degraded water containers or in difficult areas of water. Clean vases, aquariums and pets regularly at least once a week. Make sure the septic tank remains closed and does not leak. Make sure your roof gutters do not hold puddles. Attach the antenna gauze to the window. Avoid hanging clothes in the open. Here are the things that are suggested to avoid the bite of Aedes aegypti or Aedes albopictus mosquitoes. Use covered clothing or lotion antinyamuk if you are in an area with the potential of many mosquitoes, such as in the garden. Should wear clothes with bright colors. Mosquitoes are more reluctant to stick to this color. Use an electric sprayer or antinyamuk in the afternoon, even use a mosquito net if necessary. But avoid spray medication if there are babies, sick people or elderly people. Minimize the smell, like perfume or hairspray . These odors can attract mosquitoes to perch. Smoking / fogging to kill mosquitoes is generally done especially when chikungunya or dengue is already plague in an area. Make sure that fumigation done at your home or workplace is done with the proper procedures according to the life cycle of mosquitoes. 0 Response to "What Is Chikungunya?"